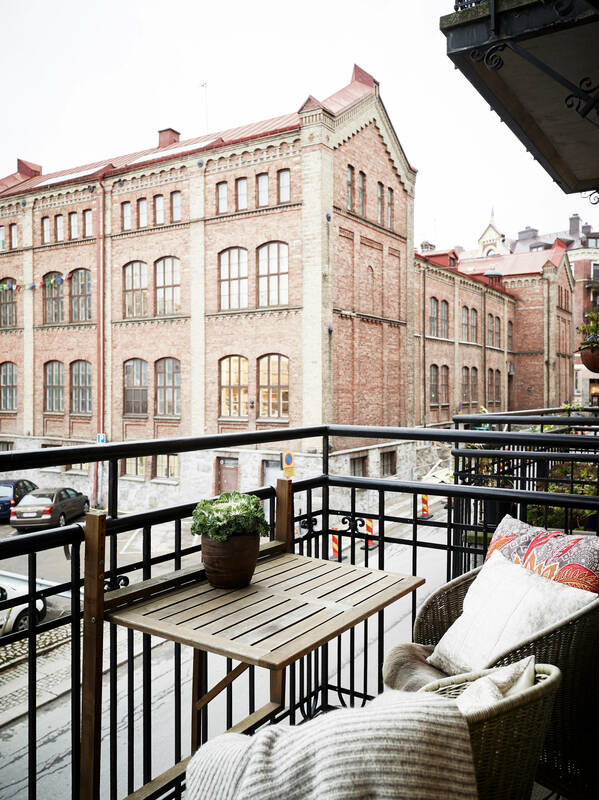 Is that possible to do in a balcony what you want or are there still any norms that exist? In accordance with law in Lithuania balcony is a private space and I remember when it was tried to forbid smoking in balconies. Oh, how many discussions arose then. I, as a person who does not smoke, of course would like to never smell tobacco smell, however, the ones who smoke would not know what to do (as if it should interest me). However, the topic is not about that. 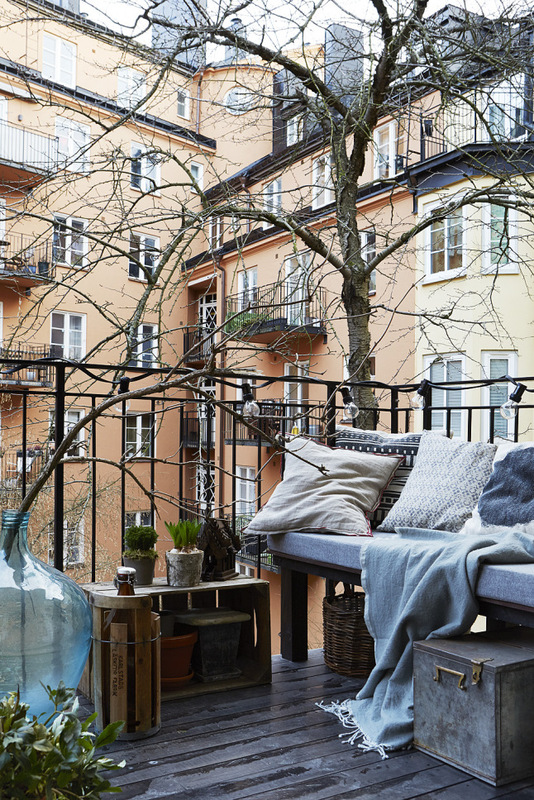 What do you think – is that possible to do in a balcony what you want or are there still any norms that exist? 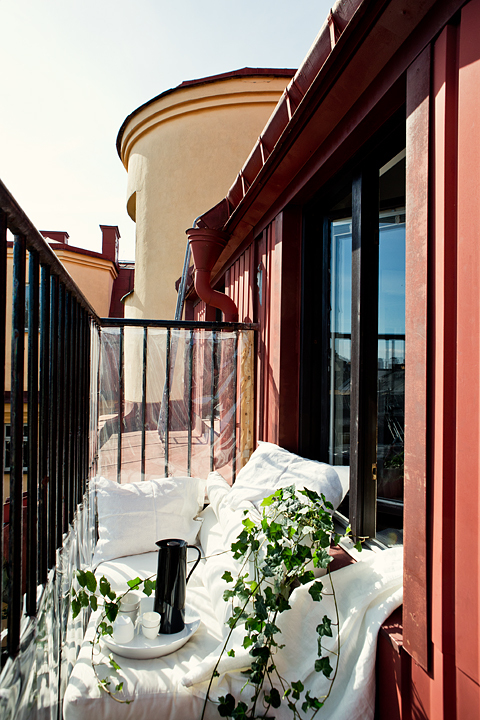 Therefore, a balcony interior should be created depending on everyone’s attitude. 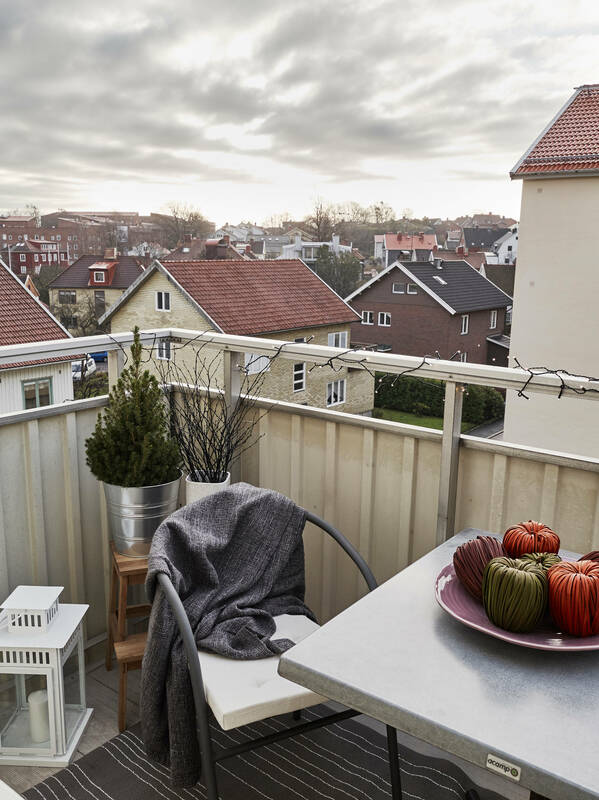 Most usually a balcony serves as a pantry or cloth drying place and it’s somehow understandable, a small part of residents have big balconies and terraces (I don’t speak about individual houses). 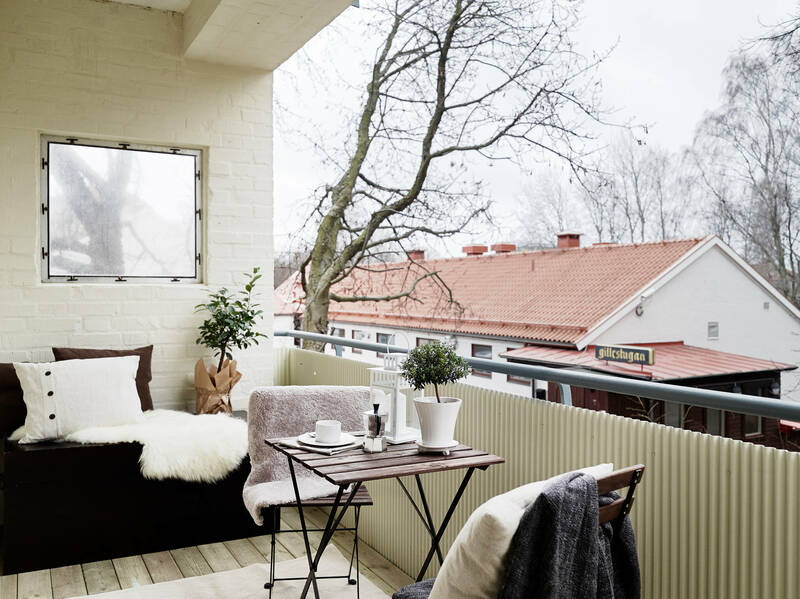 Without a usual balcony use for a lounge or greenhouse, I’ve seen a working space and sleeping space solutions (in summer close balcony indeed fits a lot instead of a bedroom). 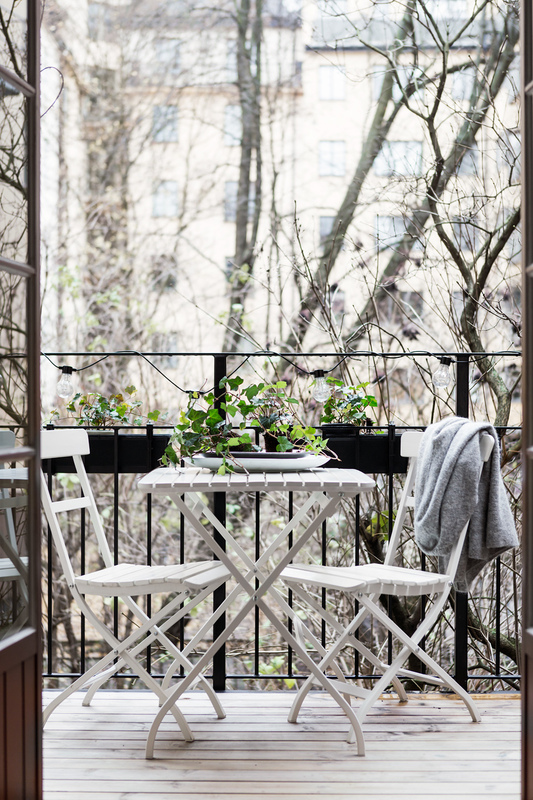 Of course, it’s possible to create a children’s play area, a dining room, practically everything, for which a special equipment or plumbing, is not necessary, in a glazed balcony. In Lithuania on the 1st floor I’ve seen ceiling suspended swing – why not? 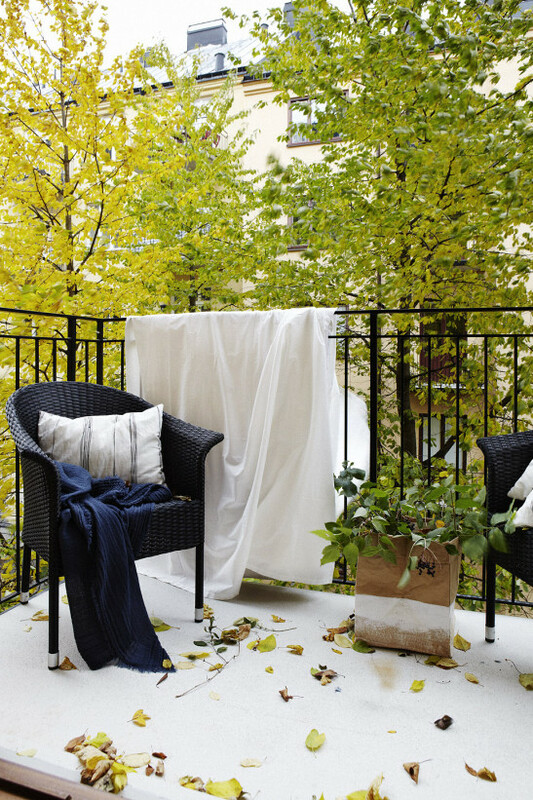 This time I’m sharing open balcony ideas. 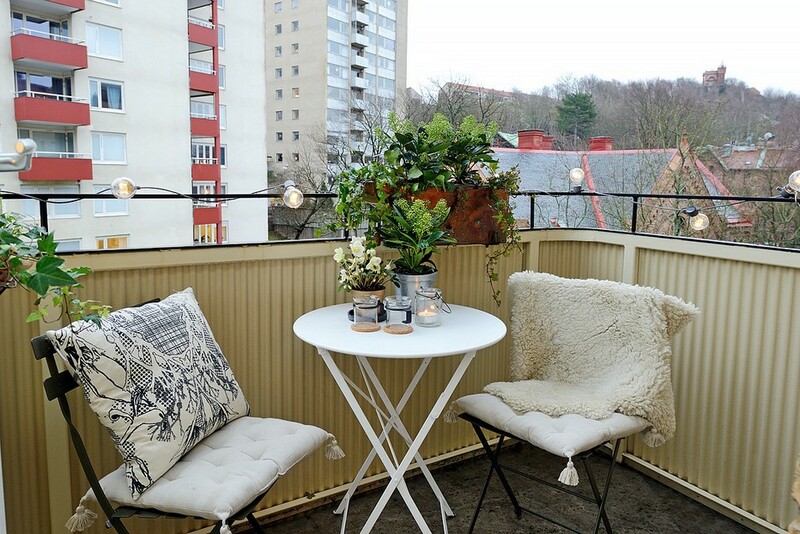 How to visually enlarge a small balcony? 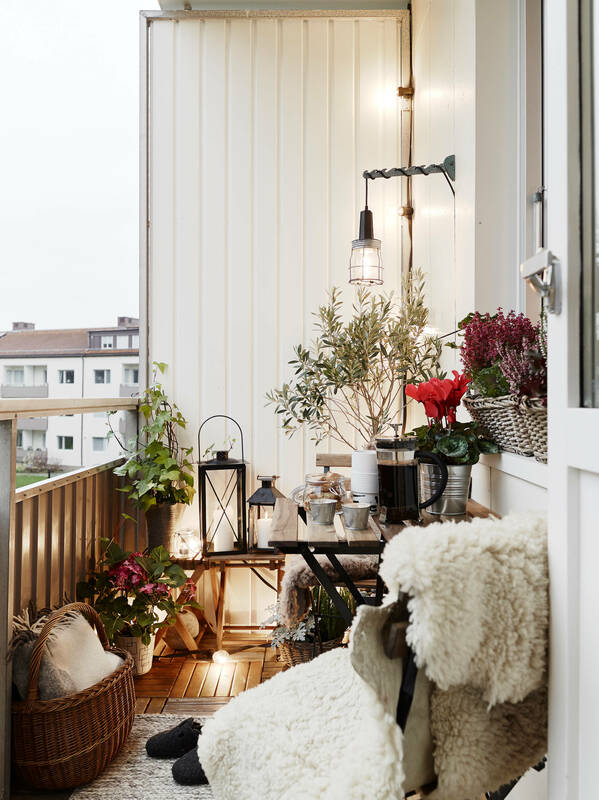 It’d be possible to visually enlarge a balcony space or at least not to considerably reduce it first of all not burdening it with unnecessary details or décor. 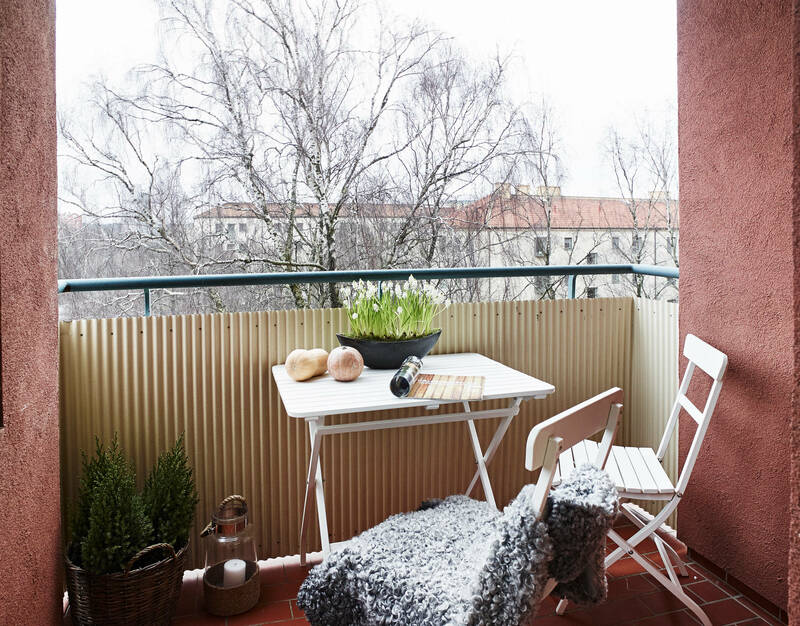 An open balcony thereby will be larger, as you’ll not create any work or play room, since not everything survives in winter. My advice would be to simply throw away what is not necessary anymore, as I’m sure that a lot of people collect such things which aren’t necessary for more than one year. 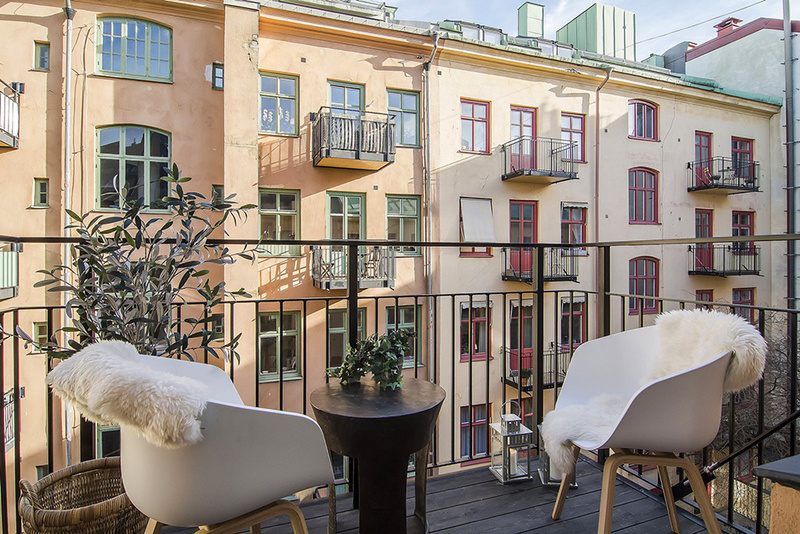 Larger opportunities are opened in a glazy balcony: as in an interior room, mirrors help to visually expand space (of course, if there’re no neighbors in front). I think that it’s possible to bring some forest which is outside the window using mirrors, it’d be necessary only to experiment and see from which point the view is the most beautiful. A following advice would be not to burden with plants. However nice flora in balcony is, everywhere a following rule is valid: “everything that is too much is unhealthy.” It’s possible to somewhat shuffle and optically save space keeping plants in hanging pots or fastening some of them in special ones next to the wall – that’s not only aesthetically pleasing, but also doesn’t take a lot of space on the floor. One more advice: to use only one wall and to leave the other one empty or minimally furnished. 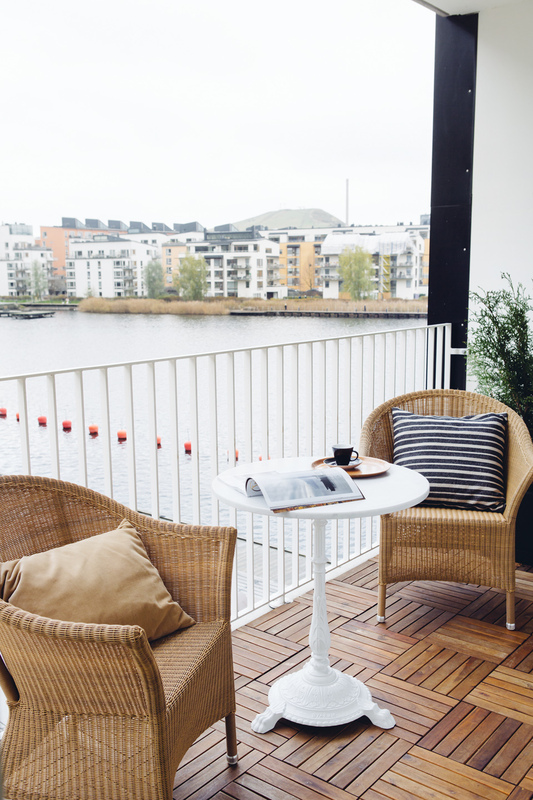 If you’re making a space for gatherings, orientate pieces of furniture not in the middle of balcony, but on the end wall (because most probably the entrance to balcony will be next to other). You can hang shelves, plants, pictures,etc. there.